Dulwich and West Norwood /ˈdʌlɪtʃ ... ˈnɔːrwʊd/ is a constituency in South London created in 1997 and represented in the House of Commons by Helen Hayes of the Labour Party since her election in 2015. Boundary of Dulwich and West Norwood in Greater London. 1997–2010: The London Borough of Southwark wards of Alleyn, Bellenden, College, Lyndhurst, Ruskin, and Rye, and the London Borough of Lambeth wards of Gipsy Hill, Herne Hill, Knight's Hill, and Thurlow Park. 2010–present: The London Borough of Southwark wards of College, East Dulwich, and Village, and the London Borough of Lambeth wards of Coldharbour, Gipsy Hill, Herne Hill, and Thurlow Park. Situated in south east London, the seat is traversed by the South Circular Road, on one side of which there is Dulwich Village, and on the other side is Angell Town and Coldharbour. The seat is ethnically diverse: around 25% of the population are from an Afro-Caribbean background. In addition, 33% of the total population live in social housing, and roughly 10% are lone parents. The constituency has the 15th highest proportion of people with a degree in the country, at 47.6%. The Labour Party majorities won have been in the safe order of more than 15% since the seat's 1997 creation. The runner-up party in four of the six elections to date has been the Conservative Party, otherwise the Liberal Democrats. A Principal Speaker of the Green Party, Jenny Jones stood in the seat in 2001 and 2005. Before 1997 the forerunner seats of Norwood and Dulwich were won by Labour candidates, the latter being Tessa Jowell; the last other party win in either was the 1987 win in the Dulwich seat of Gerald Francis Bowden, Conservative, by 0.5% of the vote, having won a 4.9% majority in the 1983 landslide. The constituency was created in 1997 from parts of the former seats of Dulwich and Norwood. 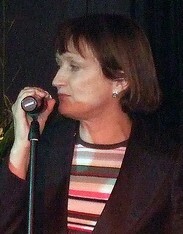 It was represented from its creation until 2015 by the former Secretary of State for Culture (2001–2007), Tessa Jowell. ^ "Dulwich & West Norwood parliamentary constituency". BBC News.